I know most people say they don’t care, but I do love the fact that celebrities that wear extensions all the time have long hair underneath. It does show that with wearing protective styles responsibly, you can retain length and grow hair. I don’t recommend ladies wear weaves 12 months a year, but have a great stylist who can do it and take care of your hair underneath. Also, in between weaves, give your hair a break. At least 2 weeks in between. Don’t let these stylists put weave after weave…your hair can never breath!! Those are just some of my tips. Now check out some celebs who have long, thick hair underneath their extensions. Her stylist Nik from Pressed Salon in Atlanta posted Angela’s long locks. Her hair is super long and she uses extensions to protect her hair. 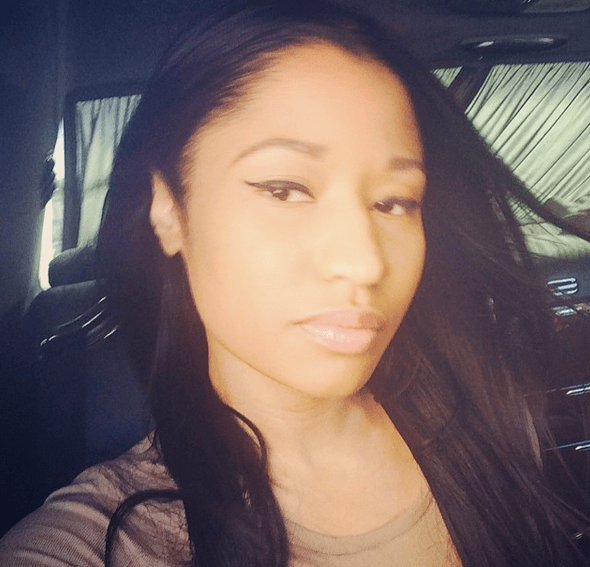 Who knew under the wigs Nicki Minaj would have some amazing hair with PERFECT edges!? Wigs are definitely healthier than sew ins because it doesn’t have the tension like sew ins do. Her edges are in tact and her hair looks good! 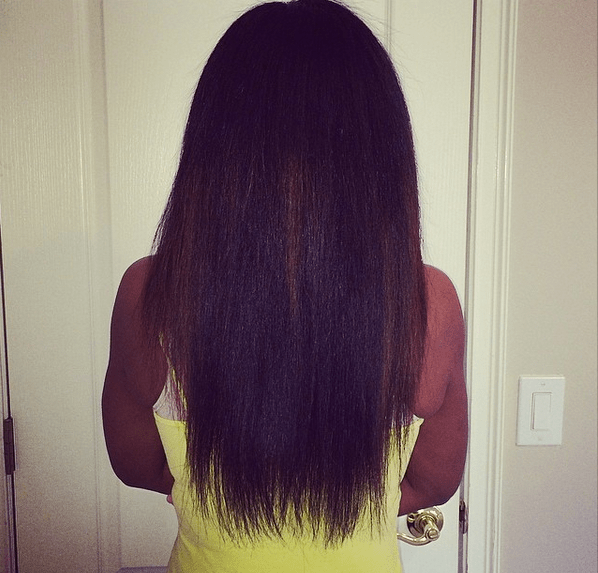 Kenya shows off her real hair and mentions extensions are great to protect hair, but to not rely on them. Oh, and she has some hair product news coming up! These are some of the recent pics! I love to see celebs showing off their real hair, even if it’s only a couple of pics. We all know celebs wear extensions because of the amount of work stylists have to do on their hair. It would be fried if stylists had to put heat on their hair every single day. I do feel like extensions is almost a necessity for a celebrity who has to get their hair styled almost daily…otherwise they would have no hair. Everyone knows I am team #ProtectiveStyle, but of course in moderation. These ladies have stylists who tend to their hair (extensions and their real hair) daily so they have a different situation. For people like myself (the everyday girl), we don’t have that. Wear weaves in moderation and take care of the hair underneath! !